Achieving profound and effective local anesthesia is essential in everyday clinical practice. It is a very often a limiting step in most procedures; meaning invasive procedures cannot begin until it is successfully achieved. Despite the frequency that oral healthcare providers (i.e., dentists and hygienists) use local anesthetics during clinical practice, misconceptions remain. The goal of this presentation is to discuss several common ‘myths’ surrounding local anesthesia while incorporating up-to-date literature-supported learning issues. This course will review and update local anesthetic history, techniques, equipment, and current research. At the conclusion of the course providers should have additional tips and tricks to help make their use of local anesthesia more safe and effective! Jason H. Goodchild, DMD received his undergraduate degree from Dickson College in Carlisle, Pennsylvania. He went on to receive his dental training at the University Of Pennsylvania School Of Dental Medicine (Philadelphia, PA). He is currently the Director of Clinical Affairs at Premier Dental Products Company (Plymouth Meeting, PA) involved in developing new innovative dental products and educating dentists on materials and techniques to improve clinical practice. 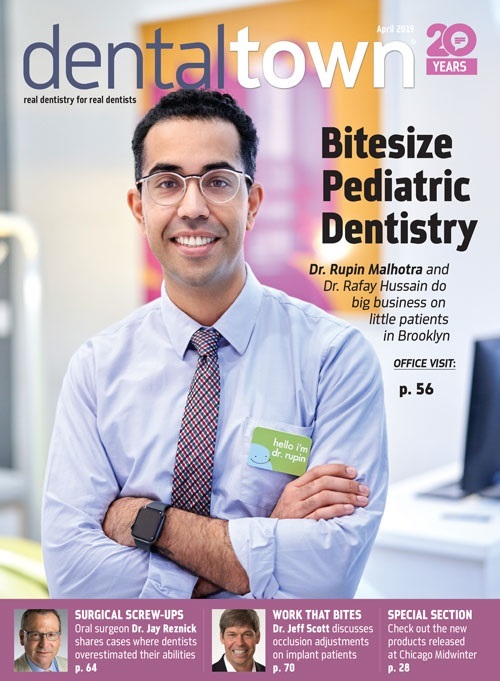 He is also Associate Clinical Professor in the Department of Diagnostic Sciences at Creighton University School of Dentistry (Omaha, NE), and Adjunct Assistant Professor in the Department of Diagnostic Sciences at the Rutgers School of Dental Medicine (Newark, NJ). Dr. Goodchild has published numerous peer-reviewed articles and lectures internationally on the topics of treatment planning, treatment of medical complex dental patients, restorative dentistry, pharmacology, emergency medicine in dentistry, enteral sedation dentistry, and dental photography. He is a reviewer for the Journal of the American Dental Association, General Dentistry, Compendium, and Quintessence International. He can be reached via email at: jgoodchild@premusa.com. In the past 12 months, the lecturer/speaker declare that they have had a financial interest, arrangement or affiliation within the field of dentistry or health care with the following: Premier Dental Products Company.